It's no secret that I love shoes...just ask my Husband. It's a love that started a long time ago at a very young age. I'm always on the hunt for neutrals and staples that I can rotate into my wardrobe. Although these darling shoes feature a pattern, they are a neutral in my book. Pair them with any color, any season. You can't go wrong! Weighing in at a very reasonable price, these may just find their way into my closet. I think I have room for one more pair! Shoes really do make an outfit. Agreed? So what do you think? Neutral or not so much? Have a lovely day, dolls. So fun!! Love those polka dot heels! Love neutral! Please get these...and maybe more than one pair! :) I completely agree that shoes make (and can break) a great outfit!! Happy Friday Eve friend!! 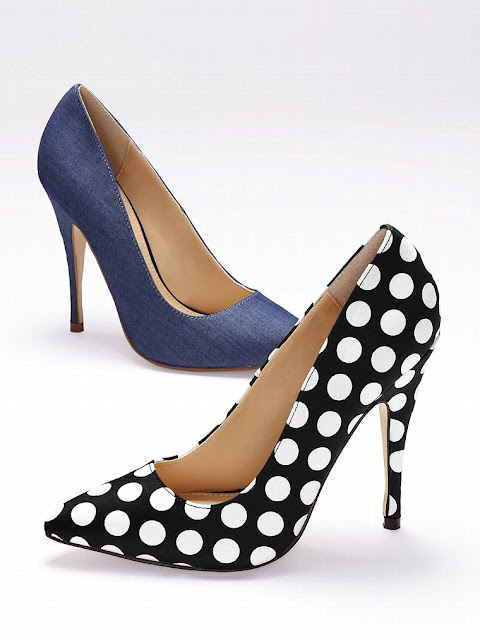 LOVE these polka dot heels!!! Loving those polka dot heels!